Bob Dylan will be named 2015’s MusiCares person of the year at the special pre-Grammys event in February. Jack White, Neil Young, The Black Keys, Willie Nelson and Crosby, Stills and Nash will perform at the gala to celebrate Bob Dylan, 73. Carole King and Bruce Springsteen are among the honor’s previous recipients. Bob Dylan has won 10 Grammys, seven of them after being handed a lifetime achievement award in 1992. Beck, Tom Jones and Norah Jones are among the stars who will perform versions of Bob Dylan’s songs at the show on February 6, 2015, two days before the Grammys. Pearl Jam’s Eddie Vedder, Bonnie Rait and John Mellencamp will also take part in the charity gala. 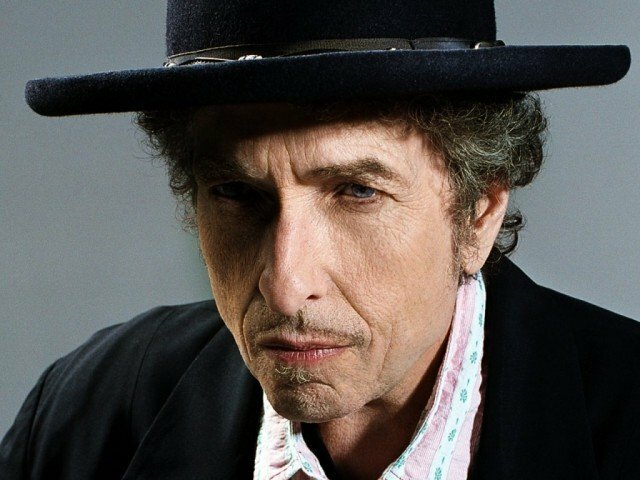 “[Bob Dylan’s] body of creative work has contributed to America’s culture, as well as that of the entire world, in genuinely deep and lasting ways,” said Neil Portnow, head of the MusiCares Foundation and The Recording Academy. Bob Dylan follows in the footsteps of the likes of Neil Young, Paul McCartney and Barbra Streisand. Paul Simon, Elton John and Billy Joel have also been honored with the award since it was created in 1989. Bob Dylan has also been inducted into the Rock and Roll Hall of Fame and Songwriters Hall of Fame in the US.